These Magna Carta sampler discs serve as a great way for people to sample a number of their releases without having to shell out the cash for each and every one of them. I'd have to say that as these things go, this is one of the better ones – and they are all quite good. With a series of inspired performances it's hard to pick a favorite – and that's a good thing. Since I have reviewed many of the original discs the track by track reviews of those songs are included here either copied from or modified from the original review for the sake of consistency. One thing is certain, you can't go wrong with this one if you are a fan of modern progressive rock. A beautifully intricate and emotional acoustic guitar intro serves as an appealing appetizer to the album. 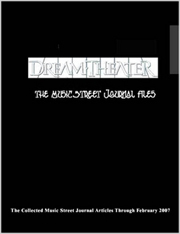 The track jumps into a very hard rocking groove very much in the vein of Dream Theater's Falling Into Infinity. Even the changes here have solidly DTish tones as the piece weaves a trail around many landmarks in its course. After a time, the song shifts from the tumultuous intro into the verse. This section is very much in the style of Magellan, as are the choruses to the piece. More stable musical ground is the status quo here, while still featuring plenty of progish musical exploration. The entire (without the acoustic section) is reprised here as an instrumental break. This piece does a very nice job of taking classic prog moments (ala Yes` Close To The Edge and King Crimson`s Red) and updating them in the manner of of the new wave of prog. “Fate Speaks” is a virtual maelstrom of musical mayhem. With a rather noisy intro, this solid blues rocker jams pretty well. The musicians here (Charlie Musselwhite, Derek Trucks, Mick Abrahams, Clive Bunker, Mike Summerland and Robert Berry) sound as though they are truly having fun with this. That makes it all the more fun for the listener, too. A harder edged take on the Rush piece, the vocals here are definitely in a deeper register than Geddy Lee's, but quite effective. The guitar solo seriously shreds. The band on this cut is composed of Jack Russell, Michael Romeo, Mike Pinella, Mike Portnoy, Billy Sheehan and Brendt Allman. This is a previously unreleased track from the powerhouse supergroup Bozzio, Levin, Stevens. It starts out sedate before a bluesy sort of textural jam takes it. They build this up gradually with textural tones. It moves out as it carries forward into an open fusion sort of approach, still very mellow in texture. Tony Levin leads the way here. This climbs slowly and deliberately. A little before the three and a half minute mark the tempo picks up and the group start to turn it more towards crunch. It eventually screams out in hard rocking abandon, Steve Stevens' guitar leading the way with an echoey, exceptionally tasty sound. You might hear hints of Hendrix nestled among the hard edged fusion tones on this. This turns into a power trio type of jam as it continues onward. I really like the almost garage band feel that a lot of the later parts of this have. This is a killer piece of music with a lot of changes and some exceptionally tasty instrumental work from all involved. This is a screaming, metallic fusion scorcher. The keyboards soar over the arrangement like some kind of wild combination of guitar and electric violin. They changes and swirling patterns of sound create a powerful sound. Then around the minute and a half mark it slows down and twists into a dramatic jam that feels a bit like Red era King Crimson. The move through a series of prog rock movements from there, at times playful and at others just plain inspirational. This is another killer track. An ELP like segment takes it before the three minute point. It turns into fiery metallic fury still later and then moves back toward more fusion-like zones afterwards. This is one of the highlights of a disc that is full of highlights. A solid blues rocker, this one features guitar and vocals - rarities for Niacin. 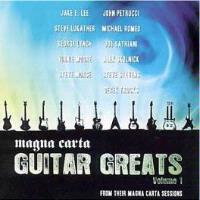 The guitar is provided by Steve Lukather and the vocals by Glenn Hughes. The next cut on the CD is brought in by Sebastian Bach, Jake E. Lee, Mike Portnoy, Billy Sheehan and Brendt Allman and is a fairly faithful rendition, but a bit more polished then the original. Only Bach's vocals seem not to work quite as well as one would hope. Jake E. Lee creates a solo that at once emulates the original and creates a fresh texture and even gets a bit Hendrixish. The instrumental section to this one takes on a life of its own. Sedate tones lead off this with a style befitting its title. They build up gradually from there. This becomes a fairly intricate and inspired jam that is all prog and very melodic. While this does eventually become more fully realized and powerfully arranged it never moves from its melodic prog ballad approach. It serves as a nice musical respite. Techno textures lead into a metallic stomper that includes some of the heaviest music of the disc. This is like King Crimson meeting Emerson Lake and Palmer with a serious dose of steroids. Lest the prog purists be turned away they weave in periods of more melodic progressive rock and Rudess throws out some killer Keith Emerson like keyboard soloing. We get some more melodic fusion later and the number is quite dynamic and satisfying. This early Rush rocker is presented in fine fashion here. It hardly seems possible, but Mark Slaughter's vocals feel even higher than those on the original recording. He is supported by George Lynch Deen Castronovo, James Murphy and Stuart Hamm. This one stomps out in an electric blues abandon, complete with some tasty slide guitar. As one might expect, this turns metallic with a thick guitar sound and a nod to some Sabbath riffs – actually quite a nice sampling of them. This becomes very much along the lines of metal and is very different than the rest of the band's output, but with its combination of cowboy sounds, blues and Sab, how can you go wrong? It makes for a great conclusion to the disc – as it does on the Alex Skolick Trio CD it's taken from..